That is a great pic! Miss yall! 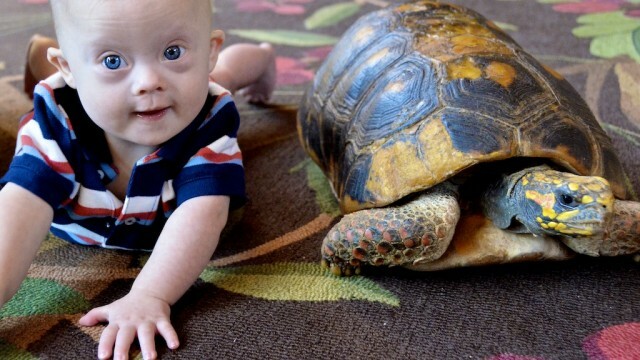 yeah…he wanted to race that turtle! Miss you to. LOVE the photo! Look at little Noah rocking tummy time. He will win the race for sure! That turtle does not stand a chance!!! Thank you for sharing this with us, made our day!!! What a precious little boy you have! Such a blessing from god!